The final trading day of the week is done. So, how did the two Variants fare? 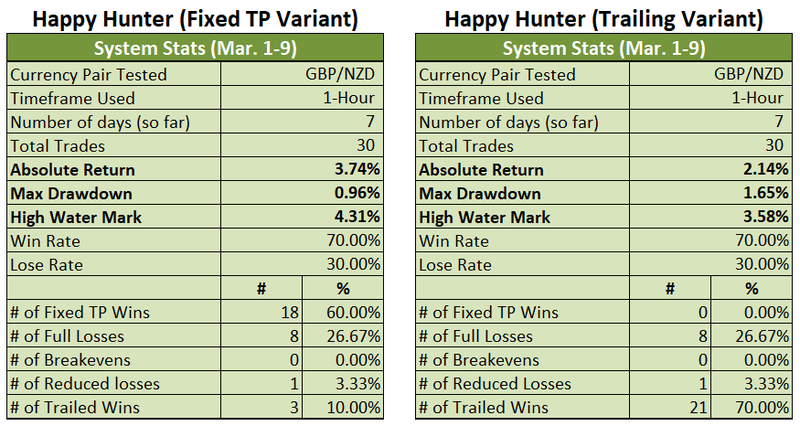 Well, GBP/NZD traded sideways and intraday price action was choppy on March 9, so the two Variants took small hits. No serious damage, though, which is good. 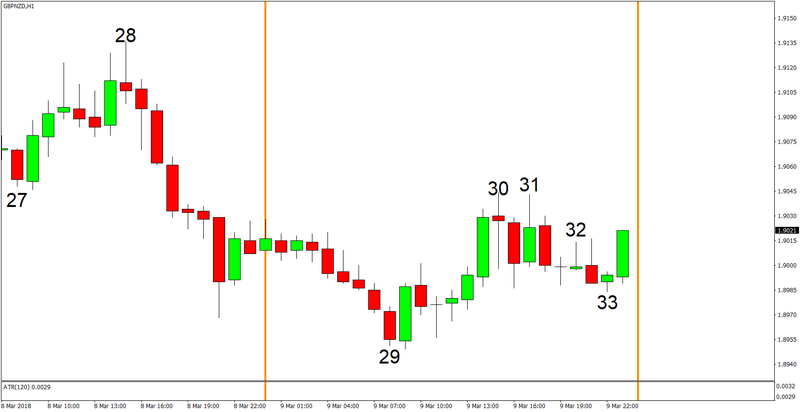 The day’s range on March 9 was only 95 pips, which is way below the 225-pip daily average. Not only that, the pair was moving kinda sideways for the day to boot. In other words, trading conditions were a bit unfavorable, so both Variants naturally took some hits. 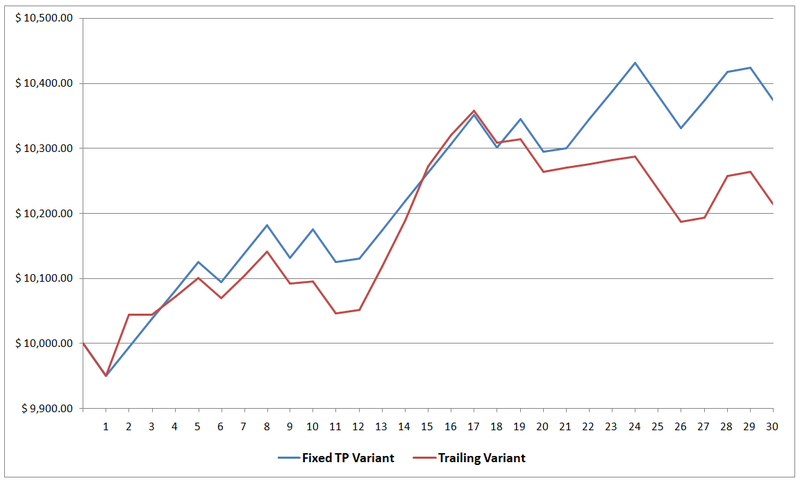 The Fixed TP Variant is now only up by 3.74% for the month (+4.18% yesterday). The Trailing Variant, meanwhile, is now only up by 2.14% (+2.58% yesterday). Overall, the poor trading conditions didn’t really inflict major damage. That could change, though, since there are still open trades that may all end up being losers next week. By the way, I’ll be releasing the first weekly review under the new rules tomorrow. So check that out when it’s finally out since I’ll also be showing y’all how the Variants would have performed in February under the new rules. Also, I’ll be showing y’all how the Variants’ performed for the entire testing period (so far). I bet that piqued your interest, huh? Okay that’s all for today. And as always, I enjoy your feedback, so if you have any questions, or if you found a possible error somewhere, or if you just want to say “hi”, then don’t be shy and write a comment down below!